Click on the photo and see all the photos of Holiday Home Vacation House Lupe. Holiday Home Vacation House Lupe is situated in Bibinje. Providing free WiFi, the property also has barbecue facilities and a garden. This air-conditioned holiday home is fitted with 3 bedrooms, a TV, and a kitchen with an oven. Zadar is 11 km from the holiday home, while Biograd na Moru is 19 km away. 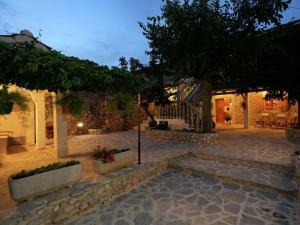 The nearest airport is Zadar Airport, 11 km from the property. Please note that the full amount of the reservation is due before arrival. Belvilla will send a confirmation with detailed payment information. After full payment is taken, the property's details, including the address and where to pick up the keys, will be sent to you by email. Please note that the full amount of the reservation is due before arrival. Belvilla will send a confirmation with detailed payment information. After full payment is taken, the property's details, including the address and where to collect keys, will be emailed to you.